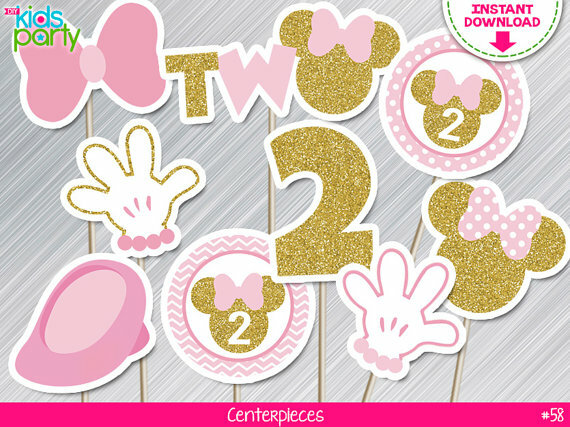 So, if you're considering throwing a Minnie Mouse birthday party for your daughter, don't miss these 12 wonderful pink Minnie Mouse party supplies to help you plan an incredible birthday! 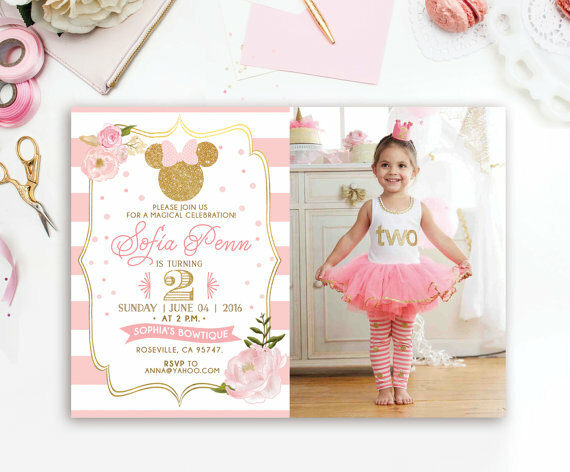 Surprise your guests with a beautiful pink and gold sparkly Minnie Mouse party invitation like this one that you can personalize with a cute photo of your little girl. 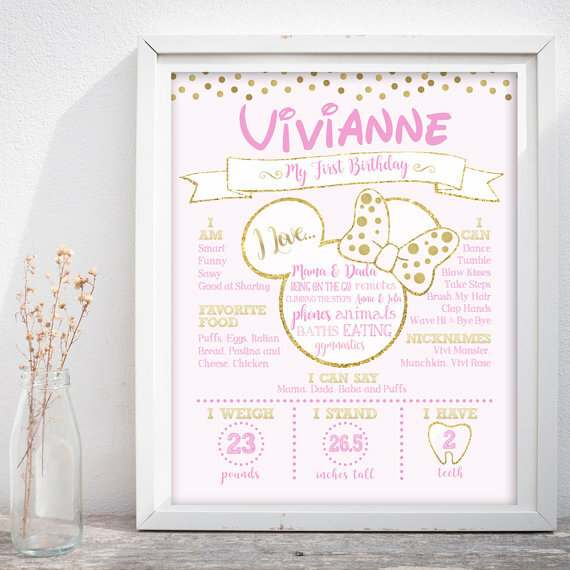 Keep a record of your daughter milestone moments with one of these beautiful birthday posters. 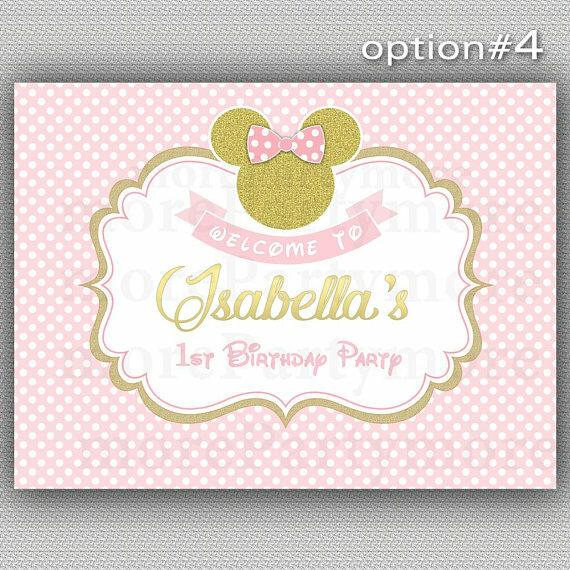 Not only do they look great at your party but a wonderful keepsake for a bedroom. 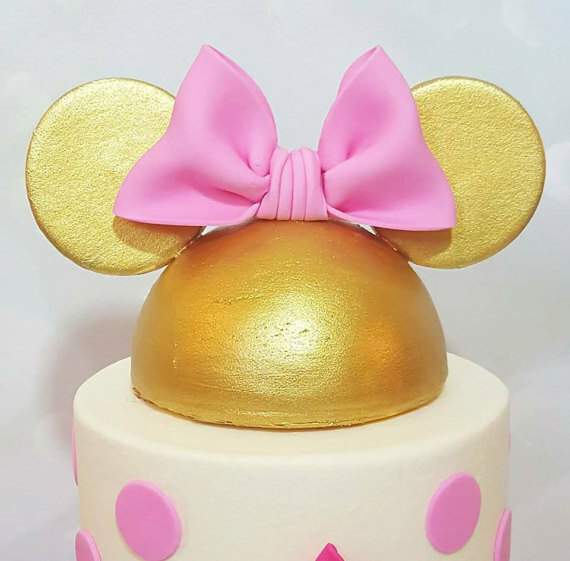 Make a statement with this stunning gold fondant Minnie Mouse ears cake topper. Simply add to your birthday cake to give it that elegant Minnie look you need. 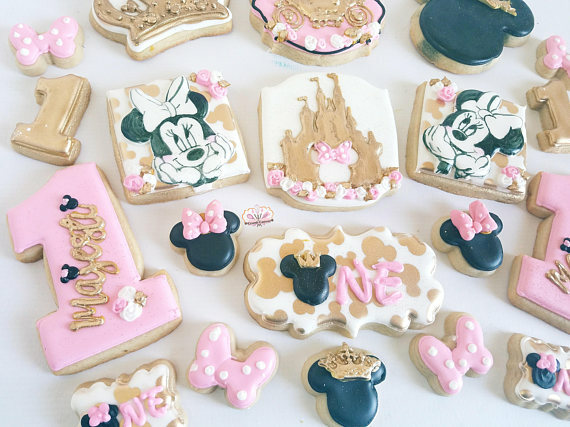 Fill a plate with these gorgeous Minnie Mouse sugar coated cookies. They are adorable and kids will devour them! 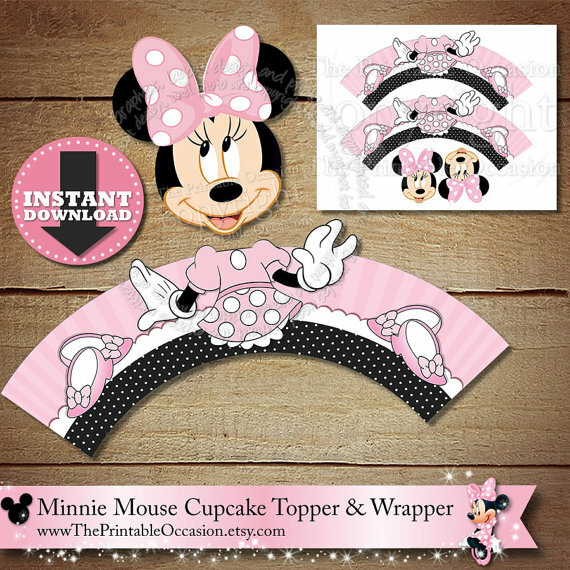 Transform your cupcakes into little Minnie's with the pretty body wrappers and Minnie Mouse head toppers. Imagine just how cool they'll look on your dessert table! 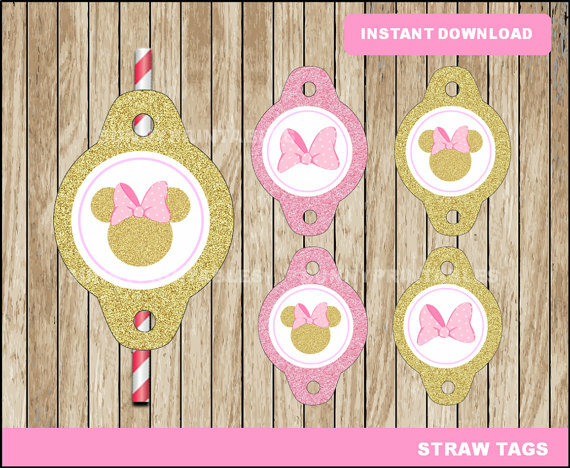 Add a touch of style to your drinks with these wonderful pink and gold Minnie Mouse straw tags. They are easy to apply and the effect is gorgeous. Decorate your dessert table with a beautiful pink and gold Minnie Mouse backdrop like this one. You can personalize it with your daughters name and age to give it that extra special touch! 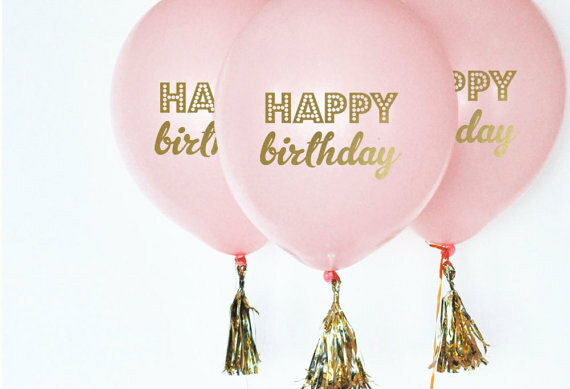 These chic pink 'Happy Birthday' balloons with their fabulous gold tassels are a great addition to your Minnie Mouse birthday party. They'll jazz up your party and add so much style. Hang this gorgeous pink, gold and beige tassel garland to your dessert table to match the decor at your party. 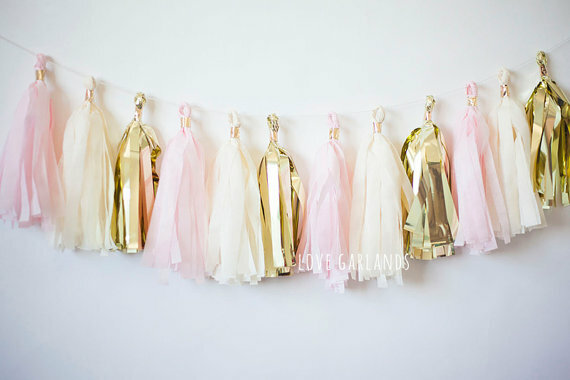 They go beautifully with the pink and gold balloons and will add so much sophistication to your party! 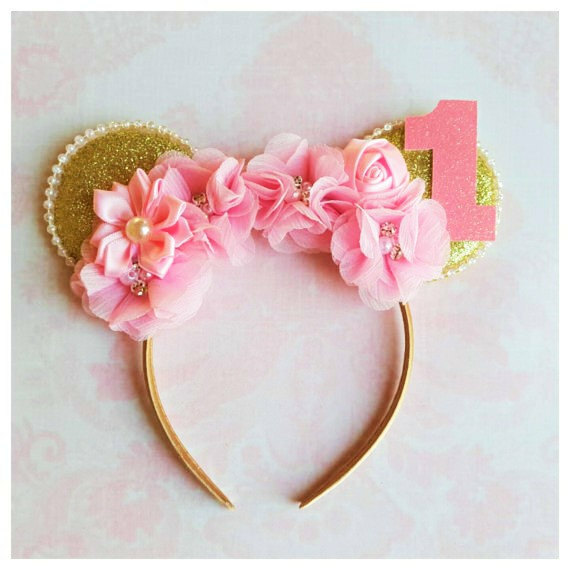 Your birthday girl is going to love one of these gorgeous floral sparkly gold Minnie Mouse ears headbands. They are so pretty that she's sure to feel the belle of the ball at her own party. They also make great party favors for your guests. 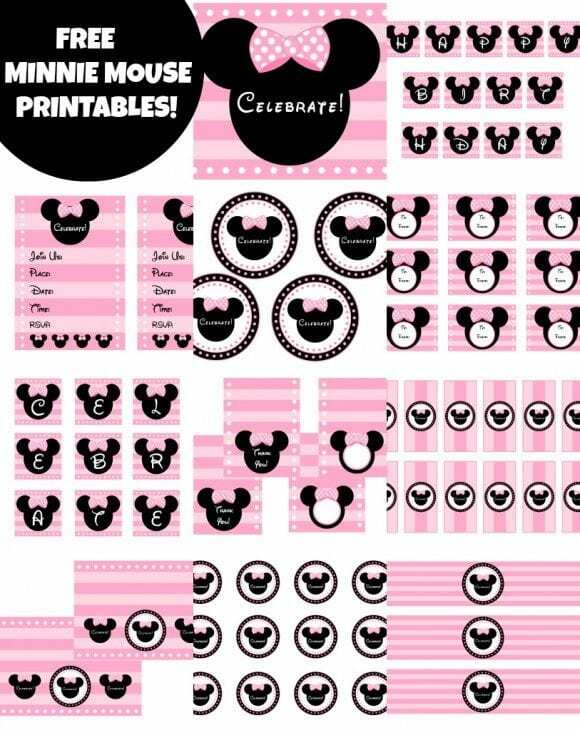 Create lots of special memories with these fun Minnie Mouse photo booth props. The kids will have a laugh and your photos will look terrific! 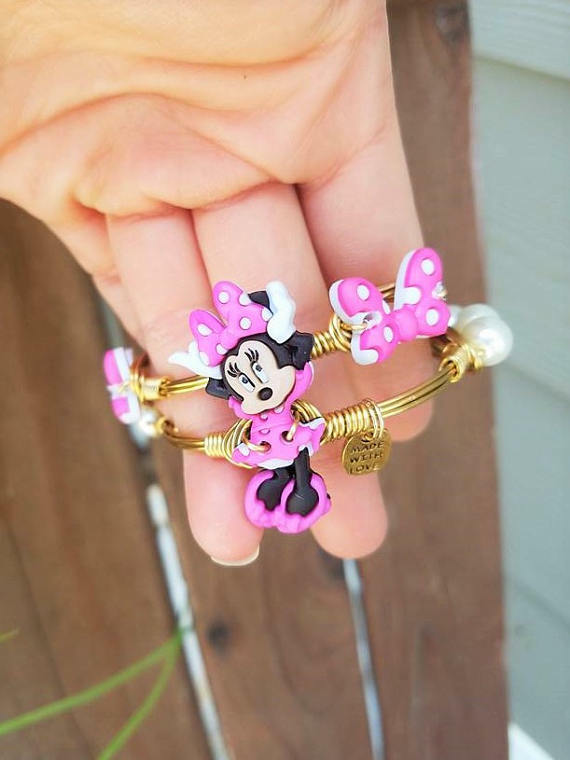 Send your little guests home with a big smile and with one of these stylish party favor Minnie Mouse bracelets.